Deciding on a proactive approach, rather than batcaving in my bedroom and curling into the fetal position like I wanted to do, I went to my psychiatrist. “Here, try this light box,” she said. It’s about the size of a CD case, but much thicker. 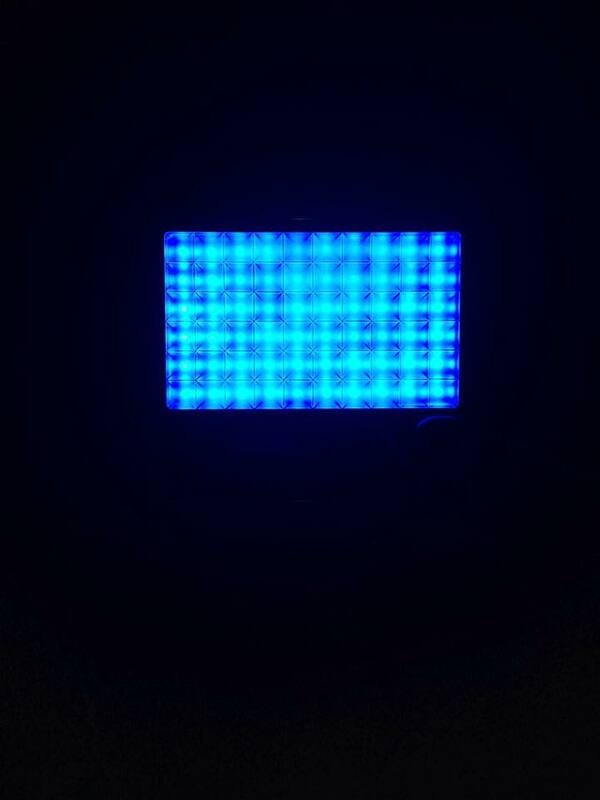 It has an LED light that shines blue when it’s turned on. It came in a snazzy case that reminded me of an old school Discman. All that was missing was some Ace of Base and Jolly Rancher candies. She was pretty in depth with the instructions on how the light must be shining on my skin, as if I might have mistakenly thought it was meant to shine on my dog. It has to be used only in the morning because it resets the body’s circadian rhythm. A small percentage of people with bipolar disorder have reported to experience manic episodes induced from light boxes. I’m prone to mania, but after the time change, I was starting to feel pretty badly, and I really didn’t want to increase my meds so I was willing to give it a whirl. I think it’s fair to say I was a bit skeptical and, not coincidentally, Ace of Base’s lyrics “I saw the sign and it opened up my eyes” was now playing on a continuous loop in my head. It’s just light, how bad can it be–right? Fast forward to four days later. I haven’t slept in two of those days. I’ve used my light box faithfully. I’ve gorged myself on Jolly Ranchers. Yes, they still make them, but in strange new flavours. I feel myself going too up too fast. Huh. Light. Apparently there really is something to it after all. I hear the light box works wonders for people with Seasonal Affective Disorder/SAD, but apparently not so much for me. I’m thinking it’s time to head back to the psychiatrist to hand in my shiny happy people light. And that’s what I did. As it turns out, we did what we always do at daylight savings time. We upped my damn meds anyway. But seriously, though, all of this hoopla for a one hour time change? I’m bipolar, not a farmer! Get rid of day light savings time. I hate the getting up when its darker. Plus, farmers don’t like it either. I would think most farmers would like to have more light because they get up early. Interesting here are US places who don’t observe DST: Arizona (except for the Navajo Nation, which does observe daylight saving time), Hawaii, and the overseas territories of American Samoa, Guam, the Northern Mariana Islands, Puerto Rico and the United States Virgin Islands. There should be studies done to prove difference between no change in time and change. Thank you for this article. I’m not bipolar and have always hated the time change. But now that I have discovered two of my kids are I hate it even more. My youngest son is more affected. He was hospitalized for the first time last year and the psychiatrist recommended it again this year. I declined, but we did up his meds. Freaking evil time change. I love what a native chief said about it Daylight savings, that is. Only the government would believe that cutting off one foot of the top a blanket and sewing it onto the bottom would give you a longer blanket. Nicole write on coping wiht Daylight Savings Time and Bipolar – Its not easy.